essay 158 looked largely at electric and hybrid cars, but here I look at alternative fuels. BFV and MFV assume that one of the fuels is gasoline or diesel. In a modern car the adjustment is largely electronic, perhaps supplemented by a new fuel sensor that detects the quality (composition, perhaps) and therefore the corresponding setting for the spark timing and fuel injection. A bi-fuel vehicle [BFV] has two tanks, one fuel at a time. 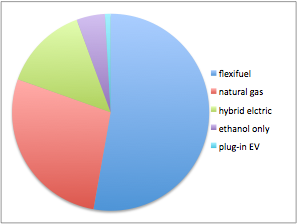 The FFV, the flexible fuel vehicle, (or flexfuel or flexifuel) runs on more than one fuel, in a shared tank. The wiki entry says there are a lot of these, mostly in Brazil, the US, Canada and Europe (mostly Sweden). See E85 below, which is deemed the optimal blend (though it may be that E85 simply represents a different optimum from what you think, like performance, or vague value to the customer). In most cases, flex occurs in the car name, e.g. the flexifuel Focus. Look for the yellow gas cap, wiki says. Multi-fuel cars are developing steadily and you can find examples from Ford, GM, Lotus quite easily. It is easiest to now look at AFVs, on the assumption that some of these alternates can be used in BFVs, FFVs and MFVs. The Spark continues to explain that there are two conversion methods. The two-tank conversion involves running with one tank of normal diesel and one of veg oil. You use the regular diesel to start up, warm up and shut down the engine. Once the engine is warm from the mineral diesel, you swap the fuel source over to veg oil, which is also now warm and runny, and perfect for fuelling that engine. Then there’s the Elsbett conversion. 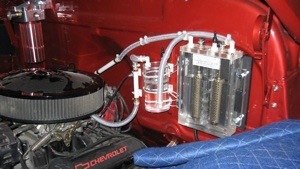 This (originally) involves changing the injection pump, glow plugs, electric pre-heating element, electric control relays and adding an aluminium plate heat exchanger in your engine. The basic result of this is to preheat the vegetable oil before ignition and change the way the fuel is sprayed into the engine, to deal with the thickness of the oil. Costs: conversion typically £500-2000 depending on who does it. The fuel is what you pay plus 50p/litre duty. If you make it yourself, you get the first 2500 litres untaxed. If you buy it at a pump, 28p/litre or so is tax. Hydrogen is used in a fuel-cell, but you can convert a gas engine to use this. Still hard to find supplies. In a hydrogen combustion engine, the car uses an internal combustion engine just like a gasoline-powered car, but instead of gasoline, hydrogen is the fuel source. Instead of harmful CO2 emissions, like gasoline cars produce, again, hydrogen cars produce only water vapour. Lots of automakers are currently testing hydrogen vehicles. Currently, the BMW Hydrogen 7 is perhaps the most famous; ... some tests have even shown that the car actually cleans the air around it [source: U.S. News Rankings and Reviews].² If you’re interested, look at footnotes ³, the plus hb model and ⁴, pictured. E85 ethanol is a flex-fuel, which means that your vehicle will be able to operate with gasoline or a hybrid mixture of 85 per cent ethanol and gasoline. CNG (compressed natural gas) CNGas ⁷ advertise dual fuel. CNGvehicles ⁸ advertise a blend of CNG and diesel or on dual systems. Propane, often delivered as LPG (liquefied petroleum gas) also called autogas, is widely available (1400 points in UK, 201510) and typically half the price of petrol (also listed¹⁰ as 50p/litre cheaper), You can calculate savings here. Many installations supply a second fuel source. It is cleaner; quoting 10 without checking, 1/120 the fine particles of ‘a diesel’ (I’d guess at a 1990s model); it makes less CO₂ (less than what? which means what?). I’d guess it produces less power, but I’m struggling to find evidence to support such a comment. Separate from what I might call minor conversions, adding a second tank (bifuel, BFV) and adjusting the engine to cope with the new fuel, we have hybrids, combining electric motors and piston power. Actually the term hybrid ought to be wider than that. Wikipedia tells us that technically a Prius is not an AFV [alternative fuel vehicle], since they make a more efficient use of the petroleum fuel. The same site gives us a 2014 breakdown of the 85 million converted or sold AFVs. Pie chart by me. Compressed Air (.. technology, CAT) expansion of the air drives a piston engine. Peugeot have tried this. Tata in India have made the oneCAT but it did not progress to production between announcement in 2008 and 2012. The Airpod is announced for a late 2015 launch, pictured¹⁴. Dimethyl ether (DME) For a relatively small modification to a diesel engine, possibly mixed with LPG, this promises good power (a higher cetane number than petrol). It may become a second-generation biofuel. Watch this space (not here, but watch out for it). Electric Battery – all-electric vehicles are AEVs. There are quite a few now as battery technology improves. Best seller is the Nissan Leaf,¹⁵ but range is still an issue. Dual technologies — hybrids in the usual sense — are closer to the user perception of need. Charcoal, wood gas, ammonia: All from WW2, all minor contenders and all three running fairly easily on current engines but not likely to meet with approval now. Wood gas is mostly used on stationary plant. Ammonia has some Canadian success, says wikipedia [52 there], emissions being nitrogen and water vapour. It needs compression, probably; it is perhaps no more toxic in the raw state than petrol and diesel. It may be useful if ammonia is locally available. From which point (whence) I switch (ha) to discuss sources incompatible with those above. I don’t think these could be BFVs. BMW’s CE and its H₂R prototype were of the combustion engine type, earlier. The fuel cell is more efficient (define and cite?). Some think this is the future for vehicles, cars especially. Liquid nitrogen (LN₂). It warms up and expands. Better than compressed air. A 93 gallon tank of LN₂ equates to 13 gallons of gasoline. [Looking for ‘LN₂ cars’ directs to Lincoln carparks]. I found this existing vehicle. Stated advantage of this fuel is that the production process, taking N₂ from the air, would locally reduce CO₂ and SO₂—by how much, would depend on volumes. Solar power to generate electricity. As a sole source this won’t drive anything heavy as yet, but as a supplementary source it is already enough to power ancillary demands. Obviously more so in Australia than Britain. Steam is not for internal combustion, but external. See 161. 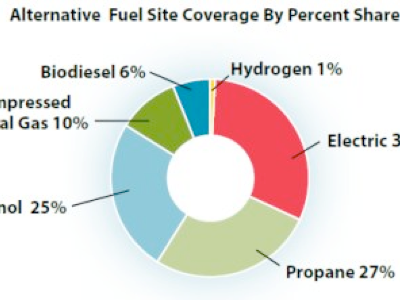 12 http://automotivedigest.com/2013/08/new-white-paper-offers-best-practices-for-implementation-of-alternative-fuels/ top picture and note the typing eror, ….fules.jpg There’s an associated green paper that may be of interest. 13 http://news.discovery.com/autos/fuel-and-alternative-fuel-technologies/sunlight-to-seawater-10-ways-to-power-your-car-141002.htm This did not load well for me and I lost the pictures. Trying again in 2018, try this and this. 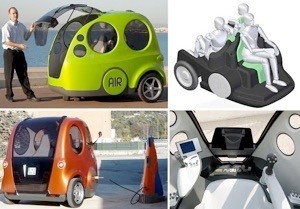 16 http://www.washington.edu/alumni/columns/dec97/car2.html alternatives to petrol. Says little.